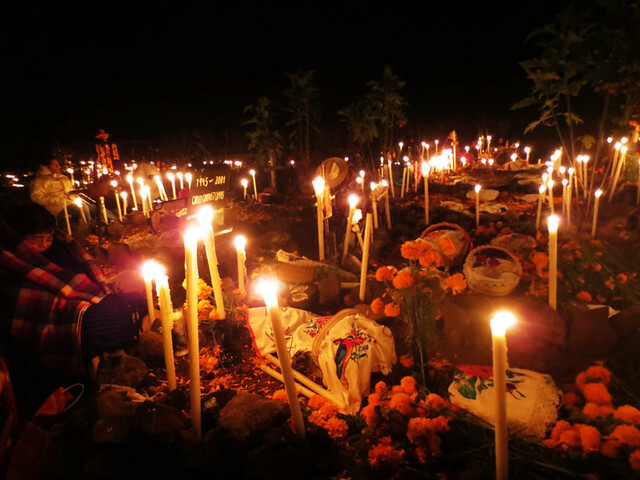 According to Matador Network, a popular travel site, the NUMBER ONE place to celebrate Day of the Dead is in Patzcuaro, Mexico. 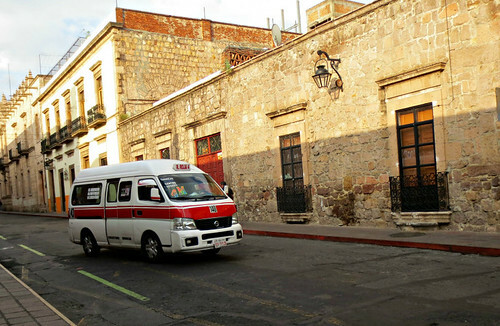 Friday afternoon, a co-worker dropped me off at the bus station and I was on my way to the state of Michoacán. 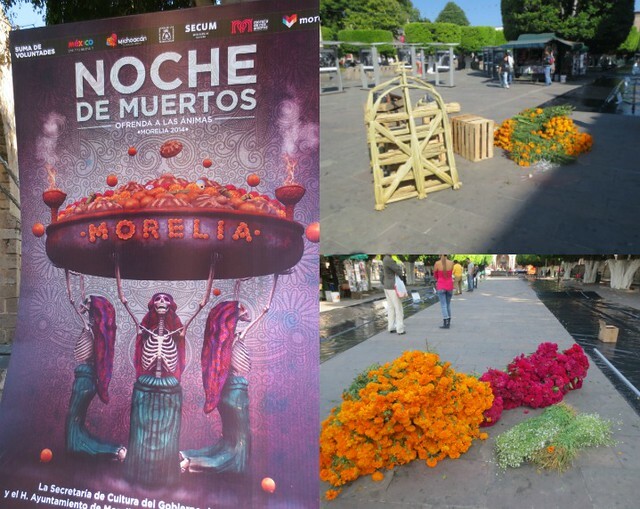 In this state, I will visit the city of Morelia and also Patzcuaro for Day of the Dead. 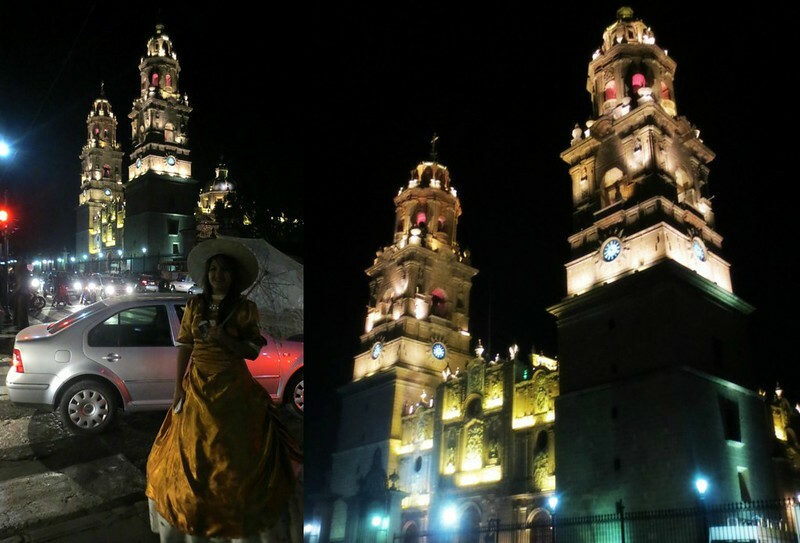 I arrived in Morelia at 8:30PM and it was ABSOLUTELY FREEZING! HAH. I assumed that it would be warmer, since it was closer to the coast. WRONG! On the contrary, the city is high in the mountains, which makes the temperature a lot cooler and the altitude much higher. The pressure change caused my ears to pop during the trip and my feet also looked like swollen puffballs when I got off the bus. HAH. After arriving, I jumped into a taxi and headed to my hostel. 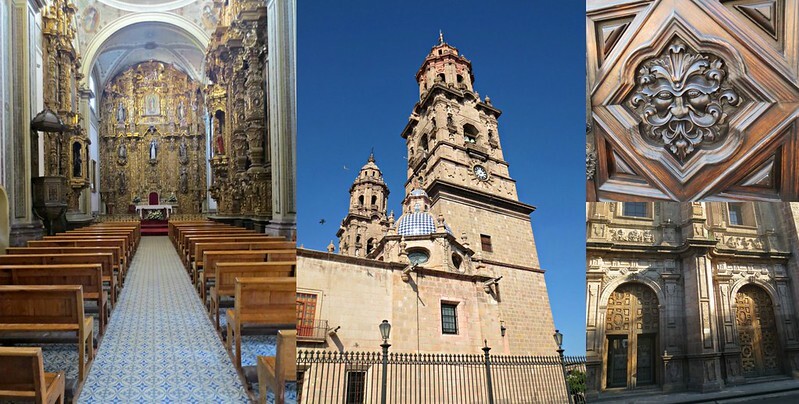 The Cathedral in Morelia is absolutely jaw-dropping. 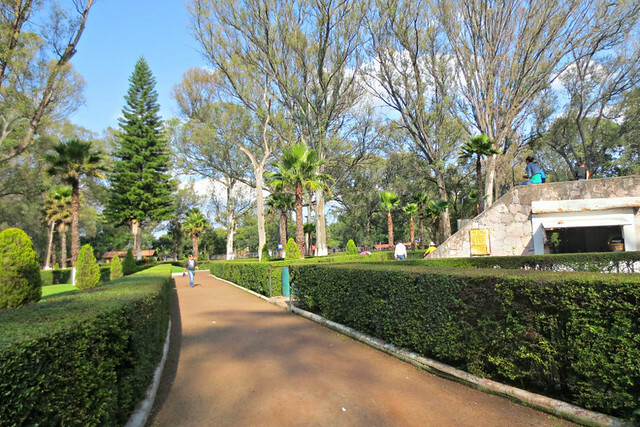 The quarry stone called “Cantera Rosa” was used to construct the cathedral and many other buildings in the city. The stone emits a beautiful pinkish hue when light reflects upon it and is unique to this region. Here is even one of the many “Catrinas” walking the street on Halloween.Absolutely stunning! 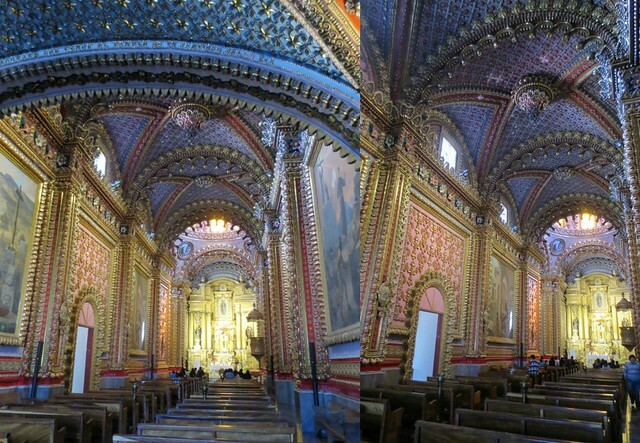 After admiring the outside, we stepped inside the cathedral to view the interior. Inside the cathedral there was a spectacular orchestra performance. I had to make a short video, since it’s beauty was completely indescribable. 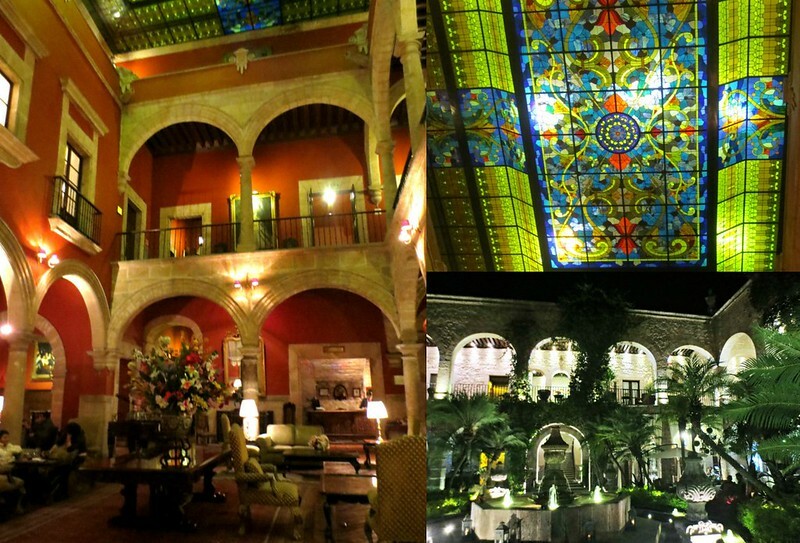 After the cathedral, we stopped in to admire a few historic hotels in the main plaza. 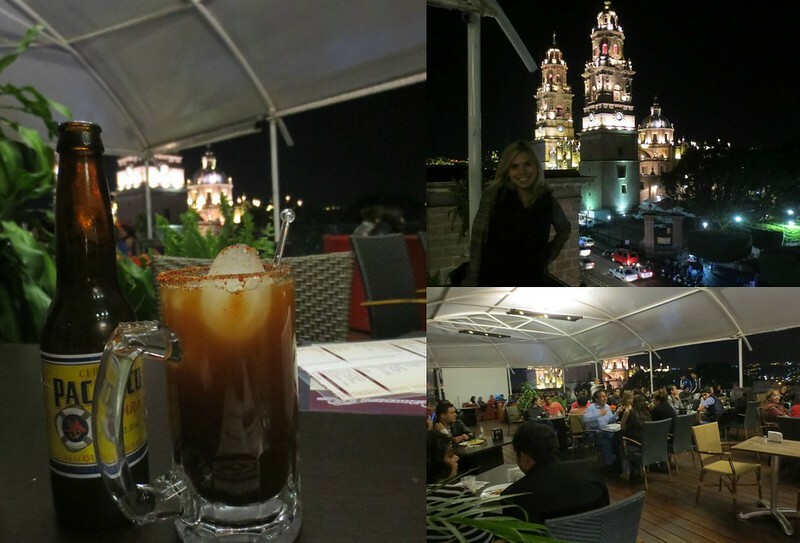 One of the hotels had a rooftop bar with an AMAZING view of the cathedral, so we stopped in for a drink. Another delicious michealada. 🙂 Paulina was a great host and we had a nice time catching up. She is also teaching 5th and 6th grade, so we were able to share tips and ideas for the school year. She also gave me a few recommendations of places to sight see the following day. 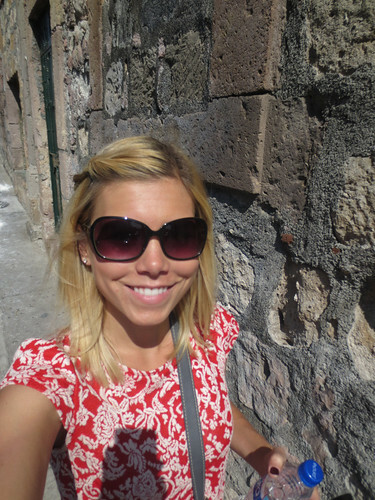 Here are the highlights of my sightseeing adventure. 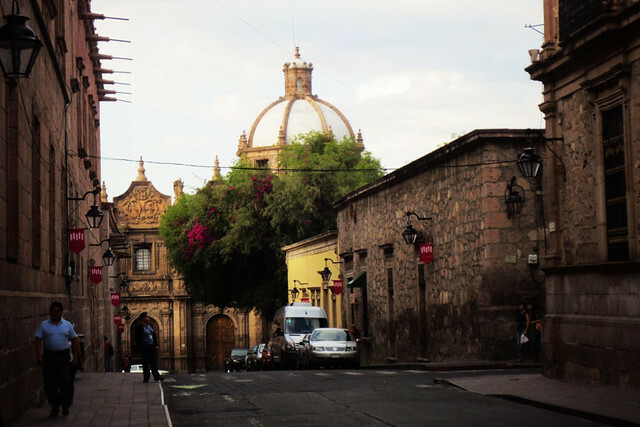 Come along with me as I hit the streets of Morelia. 🙂 The Temple of San Diego was one of my favorite sights. It was constructed from 1708-1716 with a magnificent interior of plastered floral designs using various tones of pink, red and gold. 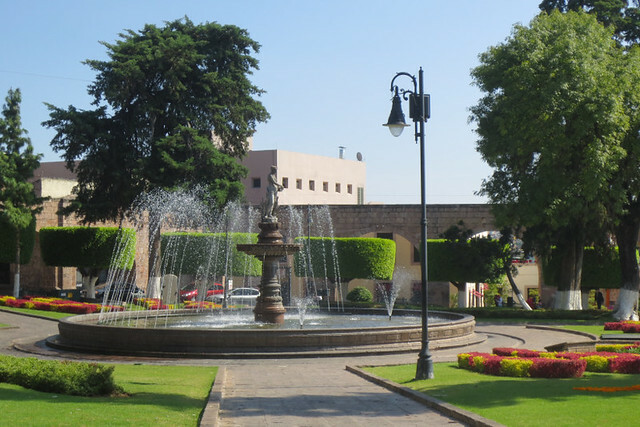 I was also able to take a stroll down La Calzada, which is a famous street in Morelia. 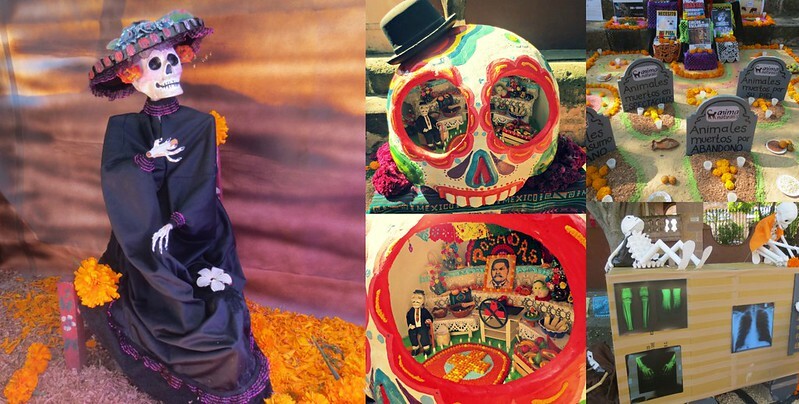 They had an exhibition of altars for Day of the Dead. 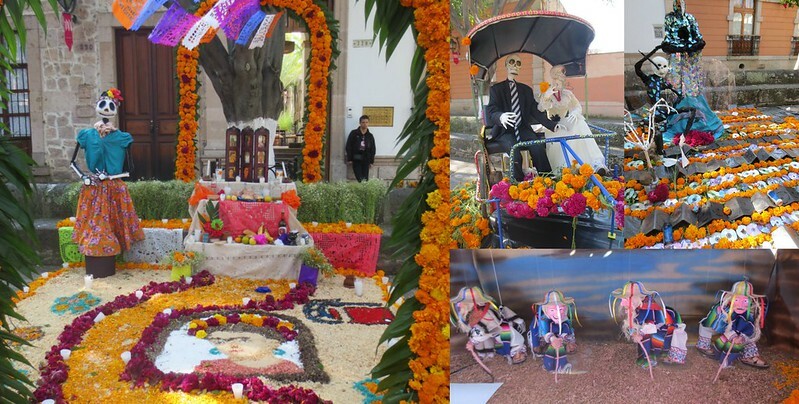 Some of the altars commemorated animals lost to animal cruelty or to environmental pollution. 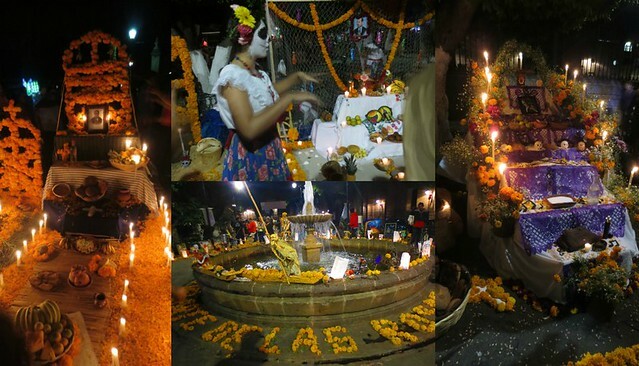 Some altars also honored famous historic figures like Frida Kahlo. While walking La Calzada, I encountered a few zombies doing parkour. Parkour is a physical activity, where people perform tricks off obstacles in an urban environment. The goal is to quickly move over walls and benches in a graceful and artistic way. I found a flyer at the museum and decided to call the number to reserve a spot. They asked to meet me at the cathedral to secure the reservation. A van pulled up outside the church and I hopped in to talk with the tour guide. Despite seeming a little sketchy, the couple was very friendly. The man was actually from Minnesota and his wife was Mexican. 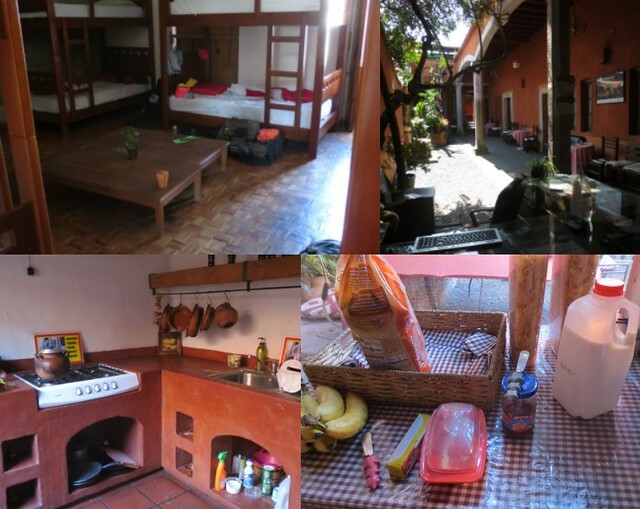 They ran many tours in the area and offered a pretty impresive package. 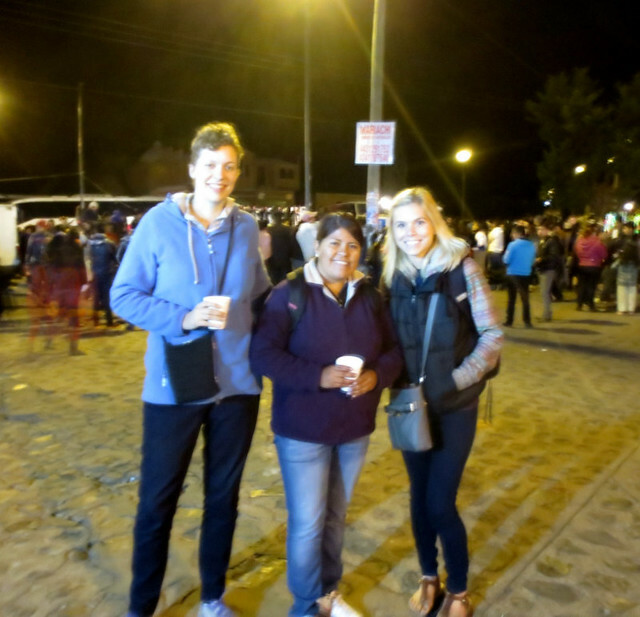 7PM: Meet the group and journey to Patzcuaro. I immediately began chatting with fellow travelers from all over the globe. A couple from England, girls from Belize, a group of students from Germany, and a solo traveler from Sydney. Since there were over 50 people in the group, it was difficult to organize everyone, and our van didn’t end up leaving until around 7:45PM. 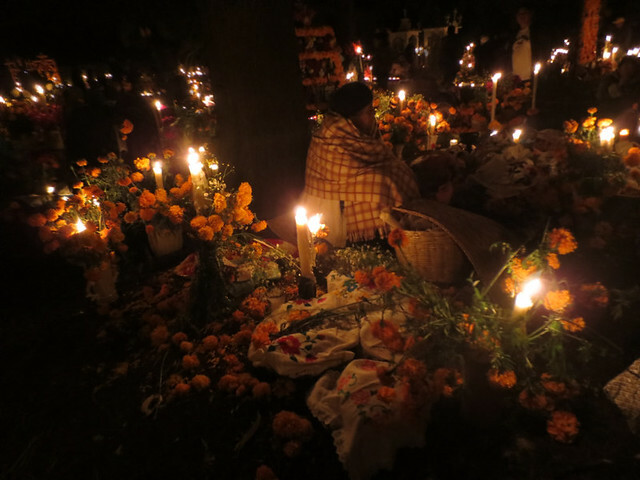 9PM: Arrival at Tzurumutaro cemetery in Patzcuaro. This cemetery was obscurely located off the side of a highway. 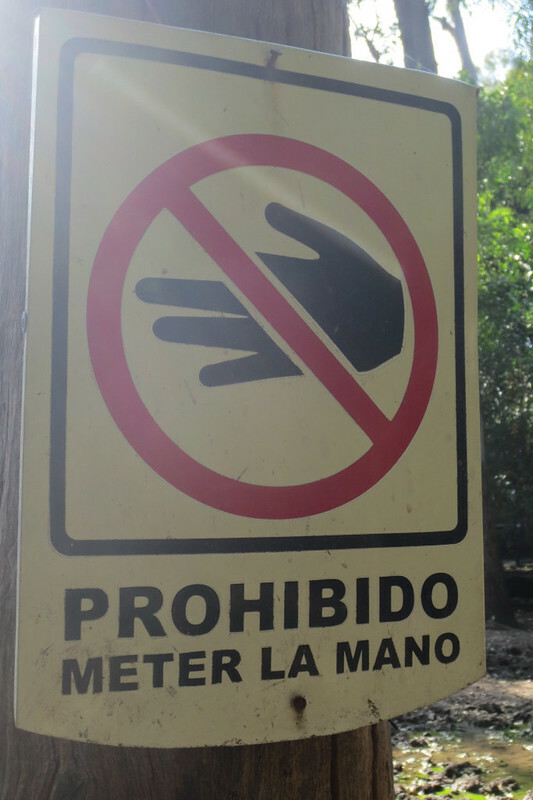 We had to walk through the town and cross a bridge over the freeway to get to the spot. 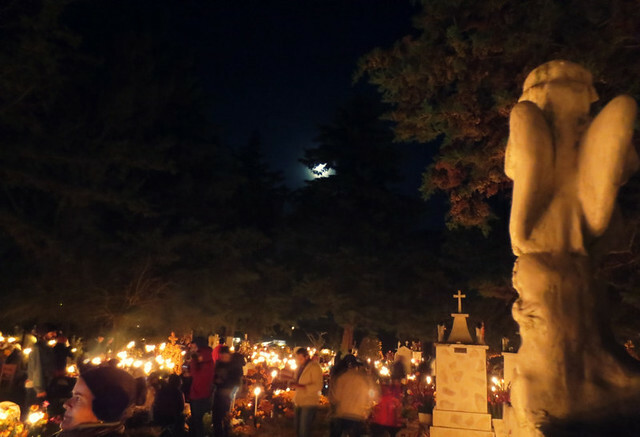 We arrived to witness masses of people surrounding the graves. 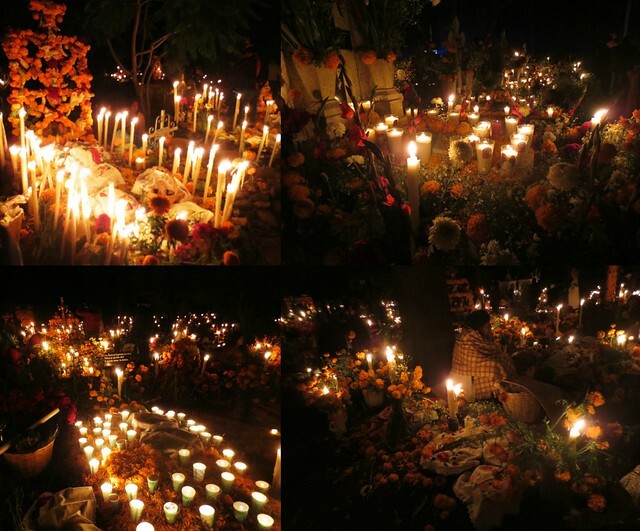 The families had elaborately decorated each grave with orange carnations, candles and memorial items to remember their loved ones. Many of these families don’t have a large income, but I learned that most spend 2-3 months salary to properly decorate the graves of their deceased family members. 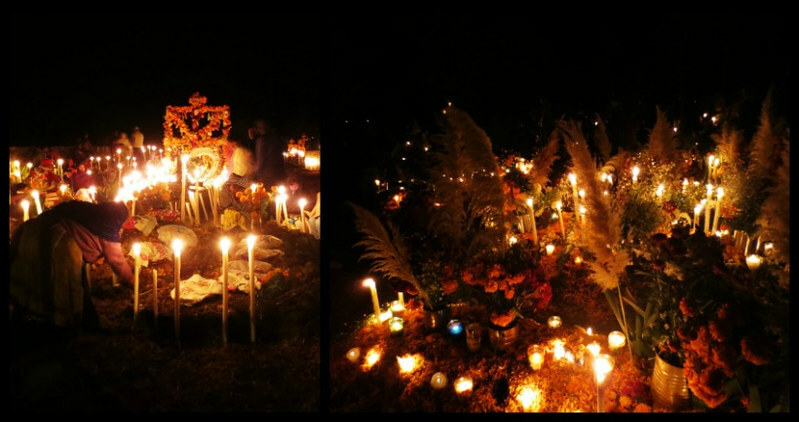 They arrive early to decorate the grave and spend ALL night sleeping next to the graves in order to properly welcome them home. Watching everyone sitting on buckets and blankets waiting for their family to come back from the dead was a life-changing experience for me. 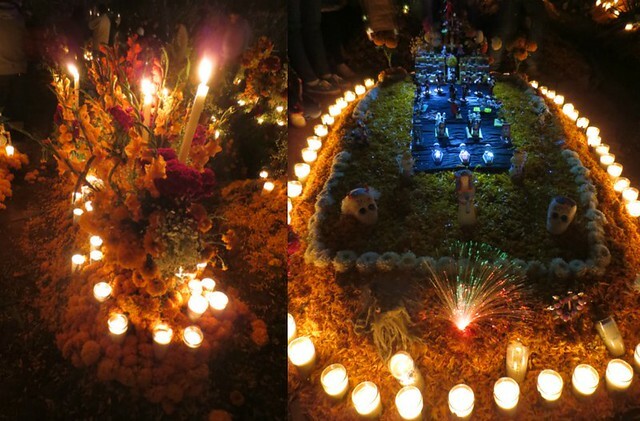 The way they view death and commemorate the life of their family members is very inspiring. I am sure they view death differently as well, since they imagine that every year they will be able to return as spirits to enjoy their favorite foods and visit with their family. Death may not appear as scary or unknown. 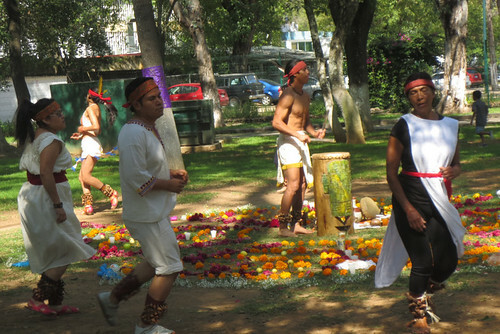 We were able to watch some traditional dances of the Purépecha, try some street food and purchase local artisanal crafts. Here is a shot of a few girls from the trip. One customer service rep from Belize and a nurse from Minnesota. Here are delicious gorditas with a variety of fillings. Traditional woven wooden baskets made from trees near Lake Patzcuaro. 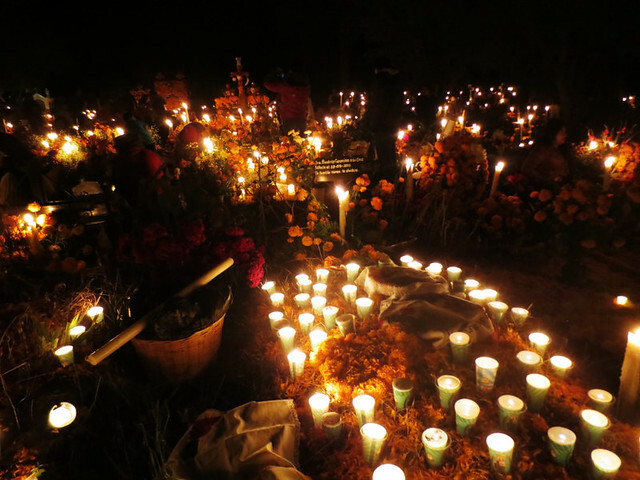 1AM: Arrival in Ihuatzio cemetery. 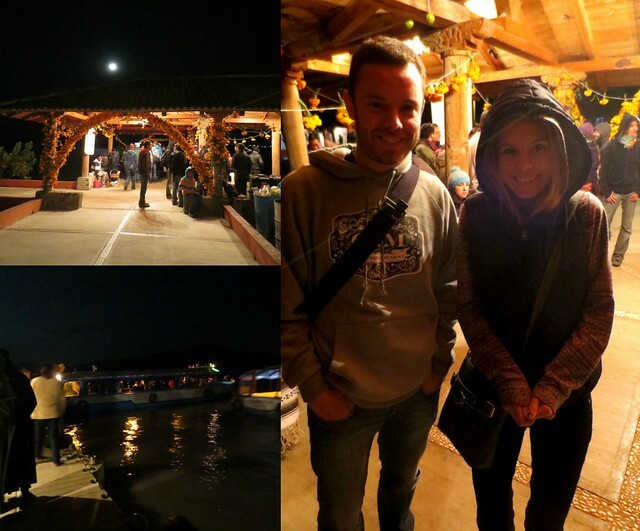 2AM: Boarding a boat to La Isla Pacanda on Lake Patzcuaro. Here is a new friend that I met from Sydney. Such a nice guy! This cemetery was by far my favorite. At 3AM, and on the middle of an island, this spot was the most tranquil of all four. You could really appreciate the moment and historic tradition. Overall I feel very blessed to witness this event. 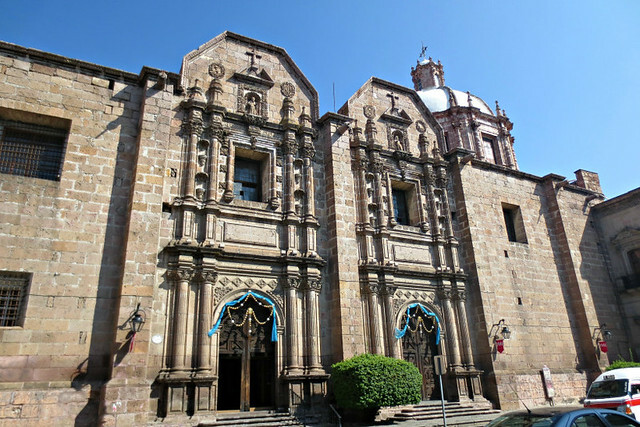 It was wonderful speaking with the families to hear about their loved ones and this experience in Patzcuaro will be a long-lasting memory for me. We arrived back at the van to shots of almond liquor. At 4AM, all I could think of was sleeping, so I passed on that experience. Hah. 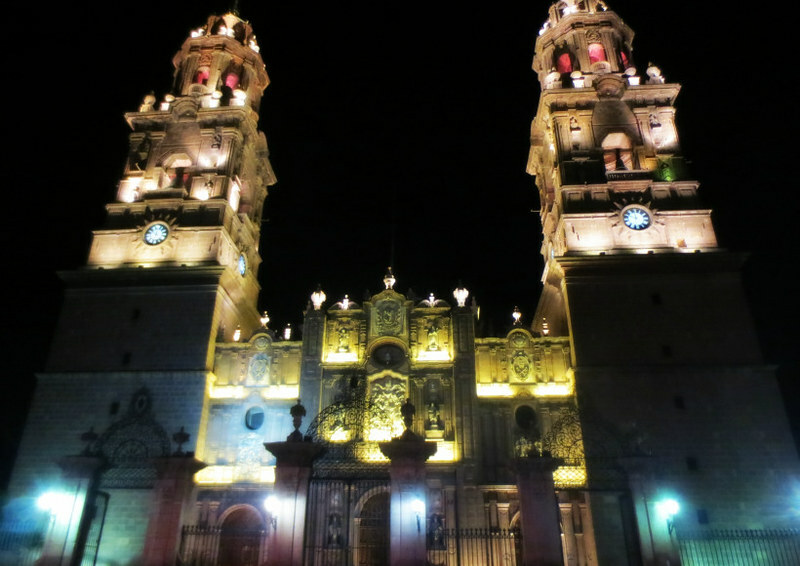 We arrived back in Morelia at 5:30AM and I tried to get some shut-eye. 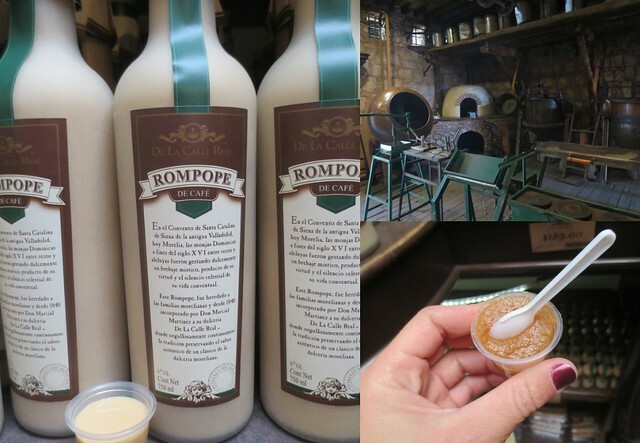 Great bargain and a highly recommended tour for anyone that is interested in this experience.